One of the recurring themes that I see in my inbox each week revolves around the question of backing up your websites. I’ve been asked what kind of back-up solutions do I myself use and how do I make sure that my sites are as secure as possible. 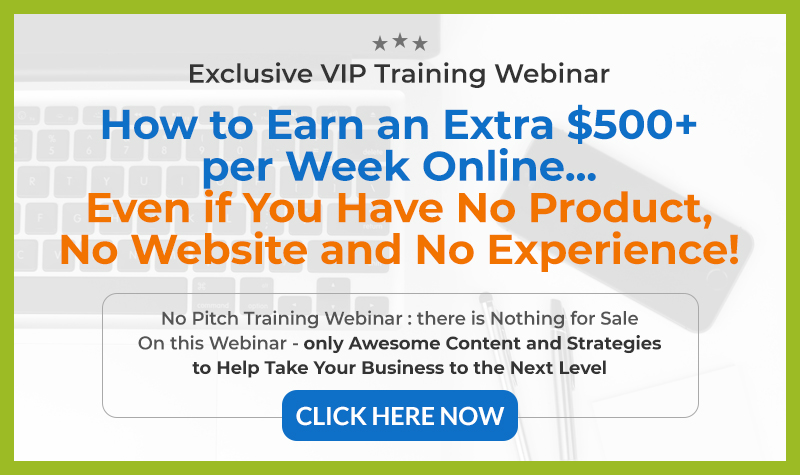 This is such a large topic that I actually held a Live Hangout and outlined the exact steps that I follow when securing and backing up my websites. And one of most popular queries that popped up after that session was in relation to one of the tools that I mentioned and so I’d to explain it all in more detail in this post so everyone can benefit. It was about a little software script called WP Twin and I use it for making complete clones of my sites so should the worst happen I can just go back in time and re-install a complete copy of my sites in seconds. But the main reason why I started using it in the first place was because I was changing hosting provider. You see during the summer I switched all my sites over to a company called Liquid Web. Now 90% of my sites were migrated over for me for Free by their team because I had my own Dedicated Server but I also had a Reseller Account that had a couple of sites that I wanted to keep. Because it didn’t have “root access” I’d have to pay for the migration, which due to the number of sites I had would cost me several hundred dollars. This lead me to doing a lot of research to see what kind of solutions were out there and eventually after much time I found WP Twin. 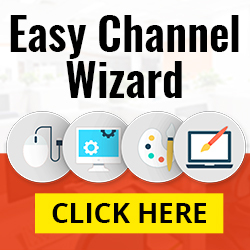 It’s a simple little script that allows you to make Complete Clones of your entire WordPress site in seconds. So How Exactly Did I Transfer My Website? Pretty simply actually…. In the Members Area for WP Twin there are 2 short little videos that outline the steps for cloning and deploying your sites. 1 – I uploaded the WP Twin clone file to my WP Installation and then executed the file by navigating to websitename . com/wptwin.php in my Browser. That allowed the file to run and a new screen appeared asking me did I want to clone my website now. 2 – I selected “Click to Clone” and after a couple of seconds I was given the download link for the complete cloned website. 3 – After downloading the Cloned Website I went over to my new host and opened up cPanel for the account that I wanted to deploy the clone on. I already had installed WordPress and so all I had to do was upload the WP Twin Deploy Clone file. 4 – Once I had done that I uploaded the cloned website. This took a couple of minutes because the site I was migrating was pretty big but once it was finished uploading I just had to run the Deploy Clone file to finish up. 5 – So I navigated to my browser and typed in websitename . 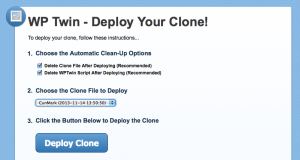 com/wpdeploy.php and the WP Twin file ran and I got a message asking me did I want to “Deploy Clone”, I clicked this and the script unpacked my cloned website. It only took a couple of seconds and the beauty of it is that WP Twin actually deletes the clone afterwards which is very important for security purposes because that file would contain a lot of security information about your site. 6 – The last step I had to do was change the DNS records at my Domain Registrar so that my domain name pointed to the new host. You wouldn’t have to do this if you were migrating your site to a different domain but as I was keeping the same one I just need to switch the Nameservers over and wait for everything to propagate through the system. I always thought that you’d need to be some sort of website expert to migrate a site but lucky enough for my WP Twin did all the hard work for me. Since then I’ve been using it as another back-up solution. So I have daily back-ups running on my server, back-ups being stored in the cloud and now I also do a complete clone of everything about once a month. You can’t really buy that kind of piece of mind, especially when you rely on those sites to earn a living. So if anything ever happened and a site of mine disappeared for whatever reason at least I know I have 3 different back-ups that I can use to reboot everything. But you know my favorite thing about it is? I’m able to use it for cloning membership sites and also for my offline work. Usually when it comes to creating a new membership site it takes me quite a few days to build everything out and set things up the way I like them. But with WP Twin I was able to make a Master Clone of one of my sites that I simply re-use each time I need a new Members Area. It clones all the themes, files, plugins – you name it so it really saves me a lot of time. The same can be said for my offline clients. I can now have a couple of Master Websites that I just clone and deploy when needed. Then I can put all my effort into making the site the best it can be for the client and not wasting too much time on the boring stuff like building out the basic framework and skeleton. So that’s my experience with WP Twin. A very Simple but Powerful piece of Software that’s made my life a whole lot easier, giving me some great piece of mind and also saves me a lot of time. 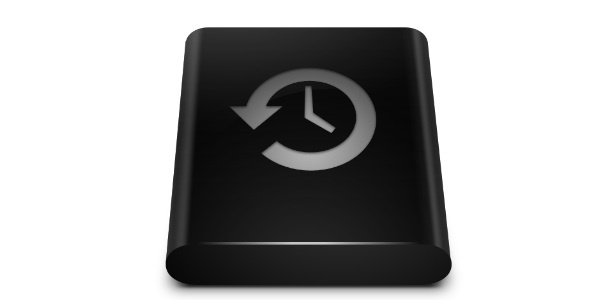 Hopefully I’ve given you a good idea of how you can make simple, complete back-ups of your sites and should you ever need to change host at least you know you can migrate all your sites with this script and save yourself a rather big expense! If you have any questions, comments or thoughts feel free to leave them below and I’ll reply to them all individually. 6 replies to "Simple Solution for Migrating and Backing Up Your Websites"
Great, I’m glad it helps. It’s been a huge time saver for me so best of luck with it! Hey Noel, well this looks like a migration gone to heaven man. I recently tried to do exactly the same, only thing I used a different hosting company (MediaTemple) and another WP plugin (BackupBuddy). I have to say my setup totally and utterly failed. The backup of my site went through without glitches but when it was time to deploy the site on the new server, the problems arised. This plugin does not requires you to install wordpress on the new location but the problem with this is that there are a lot of variables that come into play when you depend entirely on a plugin to do all of that for you (like creating the database). Since mediatemple uses something they call “the grid” the normal defaults where they would access MySQL are different so it was a mess I just couldn’t fix. I ended up doing the whole migration manually and it’s a shame because this can take quite a lot of time when you’re constantly moving clients websites and the like. Anyway, I’m glad your picks worked for you, LiquidWeb was my actual 2nd choice for my new server (I’m leaving Hostgator at the moment). I’ll take a look at WP Twin, I’ve bought some stuff from Jason before and I’ve been pleased with his work. Sales Funnels, JV Blogs and it saves a ton of time having to rebuild everything from scratch. just a case of grabbing a new key and activating as normal. Hopefully it will keep going that way! I’ve used WP Twin in the past, but have got neglectful of it recently (although my blogs are being backed up another way). I’d forgotten there was a cloud option (didn’t know to be truthful) so time to revisit it. It’s always good to have your back-ups in order should the worst happen. It’s worth the little bit of time setting it up because it can be a life saver down the line.